The best value when choosing a 2016 Toyota RAV4 may be the base LE model, which has the same driving quality and capacity as higher trims—whereas the Hybrid is offered only with top-level features. The 2016 Toyota RAV4 is a competent crossover utility with a new Hybrid model this year, updated safety systems, and lots of interior space. The 2016 Toyota RAV4 is the latest update to the smallest utility vehicle in the company's lineup. This year, there's a mild refresh of a handful of styling and interior features, but the big news is the addition of a RAV4 Hybrid model. That gives the RAV4 not only a version with better fuel economy, but the only hybrid in the smaller SUV segment, and a possible replacement for the much-loved Ford Escape Hybrid sold from 2004 through 2012. There's also a new RAV4 SE model, designated the sportiest in the lineup. Toyota spent most of its effort revising and updating the interior this year, which it says came in response to customer feedback. 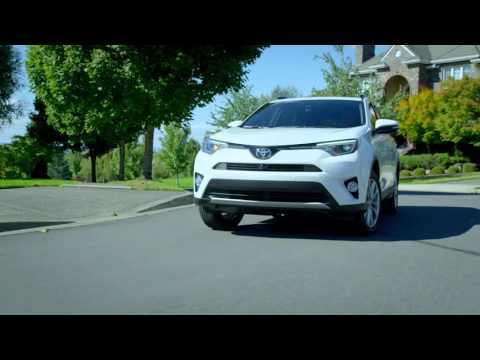 The 2016 RAV4 uses better-quality materials, including more soft-touch surfaces. It adds trim around certain dashboard and console elements, a digital display in the revised instrument cluster, an available 7.0-inch touchscreen display, and a 12-volt outlet for the rear plus another USB port. The RAV4 emerged in the 1990s as part of the first wave of compact crossovers—small SUVs build on car underpinnings—and it's grown up some. It's now technically a mid-size, though Toyota's Highlander seven-seat model is really the company's entry in that segment. But the RA4 has become one of the consistent best-sellers among small crossovers, popular with families and a strong competitor for the Ford Escape, Honda CR-V, and Subaru Forester, among others in the hotly contested segment. The current RAV4 is the fourth year of a model redesigned for 2013, when it lost the options of a vestigial third-row seat and a V-6 engine. It offers more room inside than some of its competitors, and a dash of driving enjoyment—though it's the balance of space, features, and Toyota reliability that keeps it selling well year after year. The 2016 RAV4 retains its familiar small-SUV shape, shared among essentially all compact SUVs. The tailgate-mounted spare that gave it faux-truck credentials is long gone, and its profile now matches those of the Escape, the Hyundai Santa Fe, even the sportier Mazda CX-5. Its front end shares design notes with Toyota's latest passenger cars, but the rear is chunky, upright, and has unusual taillights that stand proud of the body. Inside, the dashboard is busy; to our eyes, the simplest RAV4 LE is more coherent than the many trims and surfaces of the top-of-the-line RAV4 Limited. Only two powertrains are offered in the RAV4. The base engine is a 176-horsepower 2.5-liter inline-4 paired with a 6-speed automatic transmission. For the few families concerned about sporty driving, the automatic's sport-shift mode makes it more enjoyable. A 0-to-60-mph time of less than nine seconds is acceptable; while the RAV4 isn't fast, it's quick enough for most family needs. All-wheel drive (AWD) is a $1,400 option. The new RAV4 Hybrid is actually more powerful than the base RAV4, with a combined peak power of 194 hp from a 154-hp 2.5-liter inline-4 paired with the latest generation of Toyota's two-motor Hybrid Synergy Drive system. The RAV4 Hybrid's standard AWD is not mechanical—as in the gasoline model—but instead uses a 50-kw (67-hp) third electric motor on the rear axle to provide the rear wheels with torque when its control system senses power is needed. The hybrid RAV4 is the quickest model in the lineup—capable of getting to 60 mph in 8.1 seconds, which is about a second less than with the base engine. And it gets EPA ratings of 33 mpg combined, more than a 30 percent improvement over the 25 mpg delivered by the other RAV4 AWD models. On the road, the RAV4 is responsive, but far from as sporty as a Mazda CX-5, a Subaru Forester XT, or even the base Ford Escape. It rides lower than other compact SUVs, and the AWD version improves on-road handling as well as providing better traction in inclement weather. The well-weighted electric power steering provides a good sense of center. For a slightly better ride, we suggest sticking with the 17-inch tires on LE and XLE versions. The new 2016 RAV4 SE model doesn't change the standard powertrain, though it adds paddle shifters behind the steering wheel and a sport-tuned suspension to the compact crossover. It also comes with 18-inch alloy wheels, a unique front bumper and grille design, interior finishes that include a black headliner and contrast stitching on the seats, and red lighting and needles on the instruments. It also bundles a host of features that are optional on other models. Those include LED headlights and taillights, power driver's seat, and the option of a black-and-tan interior. Base versions of the RAV4 have seats that we found less supportive than the firmer bolsters offered in the XLE version. Seating space in the RAV4 is about on par with the equally large CR-V—and clearly more generous than that of the Escape. But the back bench is less supportive than many adults will prefer, and its flip/fold mechanism is one step shy of the Honda's. 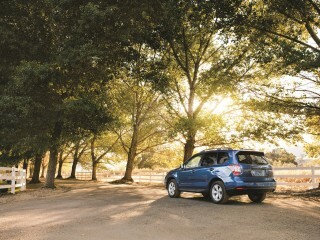 Cargo space is cavernous, and RAV4 Limited versions get a power tailgate. The 2016 RAV4 buffs up its safety credentials, with a five-star overall rating from the NHTSA and a Top Safety Pick+ designation from the IIHS. An optional Toyota Safety System is new this year, and standard on the RAV4 Limited. It includes forward collision warning, followed by automatic pre-collision braking if the driver doesn't take action. It also wraps in lane-departure alert, a radar-based adaptive cruise control, a pedestrian pre-collision system, and automatic high beams. A new surround-view camera system gives drivers a 360-degree view of their surroundings using four cameras, mounted on the front, side mirrors, and rear of the car. Limited models include blind-spot monitors with cross-traffic alerts as well; a rear-vision camera is standard on all models, as are eight airbags. Audio systems are noteworthy in the RAV4. There are four different levels of Entune touchscreen audio, with the top two levels incorporating the App Suite—Bing for search; iHeartRadio and Pandora for audio streaming; MovieTickets.com, OpenTable, and Yelp for going out; and real-time traffic, weather, fuel prices, sports and stocks. Toyota remains stubbornly resistant to both Android Auto and Apple CarPlay, however. Front-wheel-drive models of the 2016 RAV4 manage fuel economy numbers of 23 mpg city, 30 highway, 26 combined. Upgrade to all-wheel drive and you'll lower the gas mileage one click, to 22/29/25 mpg. Those aren't class-leading numbers, with competitors like the Mazda CX-5 and the most efficient versions of the Ford Escape topping the RAV4's ratings, but the hybrid RAV4's numbers bring it more closely in line. That model is rated at 34/31/33 mph. The 2016 Toyota RAV4 has the standard crossover shape, but with some unusual frontal flourishes. The 2016 Toyota RAV4 gets a mild styling refresh for its fourth year on the market, but its shape remains identifiable as the same square crossover utility vehicle it's been for two decades. The major updates are to the front end, where it gets even blunter, and inside, where some trim fittings and features have been upgraded. The RAV4's general profile matches those of its competitors, including the Ford Escape, the Hyundai Santa Fe, and even the sportier Mazda CX-5. The front end shares evolving styling elements with the gradually more unusual looks of Toyota's latest passenger cars, but the rear stays upright and chunky, with unusual taillights that stand proud of the body. The rear's been slightly reshaped, with a revised bumper, but only aficionados are likely to spot the difference. The new front face of the 2016 RAV4 is a more visible departure. It has thin, wrapped back headlight units, a slit-like opening between a large central badge and the lights, and then a small, thin opening above the bumper line, with most of the cooling air entering through a large and aggressive trapezoidal opening beneath that in the shape of a protective shield that gives it more of an underbite than ever. Toyota says the goal was to "express a look of intelligence and clarity," and that consumers want tougher, blunter, more truck-like front ends. We'll let you be the judge of that. The optional two-tone exterior treatment on the new SE model—silver front and rear lower bumpers, rocker panels and wheel arches—offers a retro throwback to the original RAV4 of 20 years ago, not to mention various Mitsubishi and Subaru models. They're fine if you like that kind of thing. The 2016 Toyota RAV4 isn't the fastest or sportiest SUV (the hybrid is faster, in fact), but it'll be fine for family duty. The 2016 Toyota RAV4 comes with just two powertrain choices: a standard gas engine with automatic transmission, and a hybrid powertrain that's new this year. 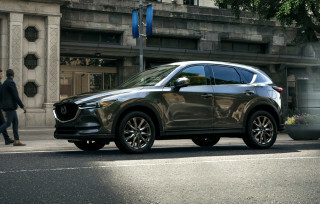 The new hybrid gives the compact crossover a version with 33 mpg combined gas-mileage ratings, almost a third better than the 25-mpg combined rating of the equivalent all-wheel-drive gasoline model. 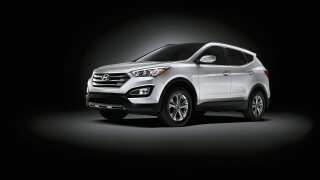 The base engine is a 176-horsepower 2.5-liter inline-4 paired with a 6-speed automatic transmission. For the relatively few families who may care about sporty driving, a sport-shift mode makes the automatic more enjoyable. A 0-to-60-mph time of less than nine seconds is acceptable for its intended use; it's not quick, but it's fast enough for most family needs. The transmission is tuned for efficiency, shifting to third or fourth as soon as it can when driving around town and dropping into a low-rpm lull just as soon as it can when speeds allow. It's a little better in Sport mode, where the transmission smooths out downshifts by blipping the throttle. Anyone who needs better performance will have to look elsewhere. A key choice for RAV4 buyers is whether to opt for the $1,400 all-wheel-drive system, which has an electronic control system that sends power rearward when slippage in front is detected. It offers a true 50/50 fixed power split at up to 25 mph in "4WD Lock" mode. When you select Sport mode, it directs 10 to 50 percent of torque to the rear wheels to help improve handling. The system also does a good job on dry pavement in hard cornering, and for foul weather, the Lock feature gives predictable levels of traction—letting the RAV4 power through snowy driveways or muddy trails. And that's about as far off pavement as it's ever likely to go. The new RAV4 Hybrid uses the same powertrain as in the Lexus NX 300h, the hybrid version of the compact crossover launched last year by Toyota's luxury brand. 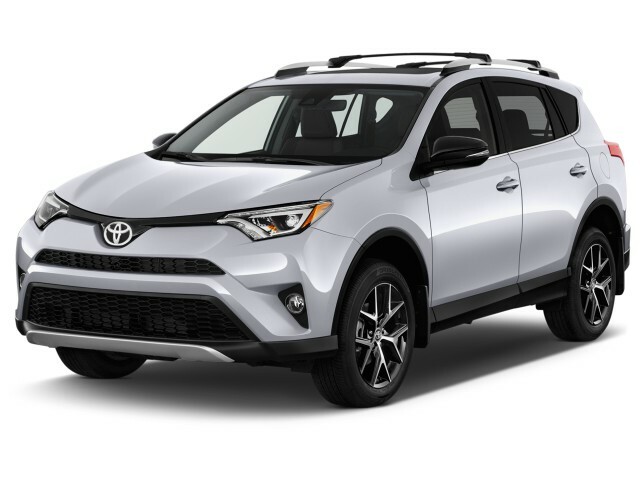 It's actually more powerful than the base RAV4, with a combined peak power of 194 hp from a 154-hp 2.5-liter 4-cylinder engine paired with the latest generation of Toyota's two-motor Hybrid Synergy Drive system. Its standard AWD is not mechanical—as in the gasoline model—but instead uses a 50-kw (67-hp) third electric motor on the rear axle to provide the rear wheels with torque when its control system senses power is needed. Altogether, the RAV4 is the quickest model in the lineup—capable of getting to 60 mph in 8.1 seconds, which is about a second less than with the base engine. On the "sporty" side, the new 2016 RAV4 SE model doesn't change the compact crossover's standard powertrain, though it adds paddle shifters behind the steering wheel and a sport-tuned suspension. While we'd like to see paddle shifters on every car for their safety benefits when power is needed immediately, on the SE they simply highlight the engine's flat and hardly sporty power delivery. While the SE's damping is a little firmer than the base model, you'd only barely notice it if you drove them back to back. 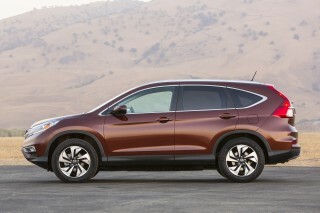 And no RAV4 is up to the compliance offered by the Honda CR-V or the latest Hyundai Tucson. For a better ride, stick with the 17-inch tires on LE and XLE versions—they have taller sidewalls even if the wheels aren't as snazzy. On the road, the RAV4 is responsive, but far from as sporty as a Mazda CX-5, a Subaru Forester XT, or even the base Ford Escape. It rides lower than other compact SUVs, with ground clearance of just 6.3 inches—a couple of inches less than you'd get in a Subaru Outback. Its AWD improves on-road handling as well as providing better traction in inclement weather. The well-weighted electric power steering provides a good sense of center. If you'd like the steering a little heavier, Sport mode delivers that by adding more weight, with good on-center tracking and stability and less resistance to returning to center. The 2016 Toyota RAV4 gets some interior upgrades this year, but still bears a few signs of its birth during the recession. For the 2016 Toyota RAV4, the company spent a lot of effort on revising and updating the interior in response to what it says was customer feedback. The latest model uses better-quality materials, including more soft-touch surfaces. It adds trim around certain dashboard and console elements, a digital display in the revised instrument cluster, an available 7.0-inch touchscreen, and a 12-volt outlet for the rear plus another USB port. We found the front seats more comfortable than in past years of RAV4, with what Toyota calls upgraded materials and thicker, stronger fabrics on the LE and XLE models. The higher trim levels, SE and Limited, use SofTex materials—the SE gets contrasting stitching—and the company has added seat-back map pockets as well. The driving position is agreeably car-like, but the standard tilting and telescoping steering wheel doesn't extend as far toward the driver as it should. On more expensive models, the driver seat gets power adjustment and memory functions and lumbar adjustment, while the front passengers get heated seats. We're startled that even the highest trim level doesn't offer a power-adjustable front passenger seat, though. The rear bench seat remains less satisfying, and some adults may find a lack of support. The back seats about equal to those of the Honda CR-V, meaning that entry and exit are easy, but they're not as comfortable for adults (they're both flat and hard) as those of a mid-size sedan. The seats recline, and fold forward with the flip of a lever—and the doors are cut tall and wide, so it's easy for taller passengers to slide in and out. Seating space in the RAV4 is about on par with the Honda CR-V and definitely more generous than in Ford's Escape. On all versions, the back seat is split, and portions can be folded down, together to open up the RAV4's cargo bin from 38.4 cubic feet to 73.4 cubic feet. There aren't any severe flaws in the packaging, but the flip-fold backseat arrangement is just short of slickness. RAV4 Limited versions get a power tailgate. While the mishmash of textures and grains and hard plastics from previous years appears to have improved, the base RAV4 LE apparently still comes with a rubberized hard-plastic dashboard. Toyota has tweaked the materials and textures of things like the shift surround and door-control bezels, and added more two-tone upholstery and trim options. But even on top trim levels, blank spaces for buttons remain scattered around the dash, and the overall effect in the Limited doesn't really convince you that it's really a premium vehicle, despite its good-looking SofTex synthetic leather upholstery. Overall, the RAV4 is improved for 2016 but still bears some signs of its genesis in the depths of the recession. The doors still have a tinny thud when they close, and despite lavish additions of sound-deadening materials under the carpets and elsewhere, the RAV4 still isn't that quiet under a number of different driving circumstances. It's better, but it's hardly class-leading. The 2016 Toyota RAV4 not only gets decent ratings, but also adds new active-safety systems this year. The 2016 Toyota RAV4 improves on the safety ratings of previous years, with top scores from the IIHS—including a Top Safety Pick+ award—and a top five-star overall rating from federal regulators. Early model years of the RAV4 had received a "Poor" rating in the IIHS small-overlap frontal test, which was added starting in 2012. A running change fixed that last year, and now the IIHS gives it the highest rating of "Good" on all tests and has dubbed it a Top Safety Pick+ for the year. The NHTSA ratings are more mixed, with five stars for side impact but four stars for frontal crash and rollover. Eight airbags are standard equipment, including knee bags, as is a Bluetooth hands-free interface for pairing and controlling audio players and smartphones. For 2016, Toyota has addressed the lack of front-crash prevention and true active-safety systems. An optional Toyota Safety System is new this year, and standard on the RAV4 Limited. It includes forward collision warning, followed by automatic emergency braking if the driver takes no action. It also wraps in lane-departure alert, a radar-based adaptive cruise control, a pedestrian pre-collision system, and automatic high beams. A new surround-view camera system gives drivers a 360-degree view of their surroundings using four cameras, mounted on the front, side mirrors, and rear of the car. Limited models include blind-spot monitors with cross-traffic alerts as well; a rearview camera is standard on all models. The 2016 Toyota RAV4 runs the gamut from plain to fancy, but a few omissions—Android Auto and Apple CarPlay among them—are baffling. The 2016 Toyota RAV4 comes in four versions with the conventional gasoline engine: the base LE, the mid-grade XLE, a new sporty SE, and the top Limited. All-wheel drive is a $1,400 option on all models. The RAV4 Hybrid, new for this year, comes in two versions—both with all-wheel drive standard—that are roughly equivalent to the XLE and Limited. The base RAV4 LE includes power locks, windows, and mirrors; air conditioning; a tilting-and-telescoping steering wheel with audio and phone controls; cruise control; interior LED lighting; a 12-volt power outlet for the front compartment; and an AM/FM/CD player that's controlled through a LCD touchscreen. Move up to the XLE, and you'll also get dual-zone automatic climate control, a sunroof, and fog lights. The "sporty" new SE model doesn't change the standard powertrain, but adds paddle shifters behind the steering wheel and a sport-tuned suspension. It also comes with 18-inch alloy wheels, a unique front bumper and grille design, interior finishes that include a black headliner and contrast stitching on the seats, and red lighting and needles on the instruments. It also bundles a host of features that are optional on other models. Those include LED headlights and taillights, power driver's seat, and the option of a black-and-tan interior. At the top of the range, the RAV4 Limited adds a leather-wrapped steering wheel and SofTex synthetic-leather material on its seats and even on a trim panel extending across the dash. It also gets keyless ignition, a power driver seat (but not passenger seat), heated front seats, and a power tailgate that can be programmed at different opening heights. For 2016, RAV4 buyers can add the Toyota Safety System, which includes forward collision warning, followed by automatic braking if the driver takes no action. It also wraps in lane-departure alert, adaptive cruise control, a pedestrian pre-collision system, and automatic high beams. It's standard on the Limited and optional on other models. Blind-spot monitors with cross-traffic alerts are available as an option. It's worth noting, however, that Toyota is so far studiously avoiding the integration of Android Auto and Apple CarPlay into their vehicles. In due course, the company may come to regret that decision. The standard 2016 Toyota RAV4 gets middle-of-the-road gas mileage, but the new hybrid model boosts that to 33 mpg—and it's the only AWD hybrid crossover in its class. Conventional versions of the 2016 Toyota RAV4 continues to be somewhat fuel-efficient by family-vehicle standards, but they don't sit at the top of the small-crossover heap. Instead, last year Toyota has added a new RAV4 Hybrid version that uses the well-proven hybrid powertrain from the Camry Hybrid sedan and various other models to boost its compact crossover up to 34 mpg city, 31 highway, 33 combined. The RAV4 Hybrid is still far from competing with Toyota's own Prius models—even the largest Prius V wagon, at 42 mpg combined—but it offers a family vehicle with the all-important all-wheel drive, and a more conventional crossover appearance. Front-wheel-drive models of the 2016 RAV4 manage fuel economy numbers of 23/30/26 mpg. Upgrade to all-wheel drive and you'll lower the gas mileage one click, to 22/29/25 mpg. 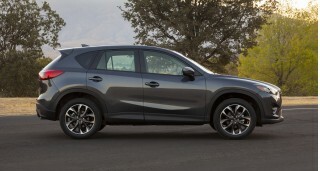 Those aren't class-leading numbers, with competitors like the Mazda CX-5 and the most efficient versions of the Ford Escape topping the RAV4's ratings. But as the first hybrid compact crossover on the market since 2012, when the late, lamented Ford Escape Hybrid ended production, the hybrid RAV4 sits comfortably above the average. And for at least this year, all RAV4 Hybrid models come standard with all-wheel drive. Good, solid, reliable, dependable, comfortable. functional ,not exciting reliable a Toyota built to satisfy all your needs. I traded in my 2005 RAV4 L, and this new one is head and shoulders better. It has nice style (better details than the 2015, although the same basic body style). The interior (black faux leather) is gorgeous as... I traded in my 2005 RAV4 L, and this new one is head and shoulders better. It has nice style (better details than the 2015, although the same basic body style). The interior (black faux leather) is gorgeous as is the "electric blue" exterior, and the electronic systems are fantastic. So far it is getting much better mileage than my 2005 did. With only 500 miles on it, it's hard to judge reliability, but based on my experience with the 2005, it should be outstanding (>150,000 miles with the only repair expense a new alternator and water pump a year ago). The rear seats fold down much more easily, and even up, there's more usable baggage space. The new one is much quieter at all highway speeds, it has better slippery surface traction, and all in all, with the 8 way power seat with 2 memory functions, it's much more comfortable to drive. I am very impressed. The exterior front end design look angry and frowning and needs to be redesigned not attractive. I like the new Hybrid design and inclusion of the new safety package. I think being lower to the ground has benefits for handlng however, should be higher for ease od access even with the 17inch tires.